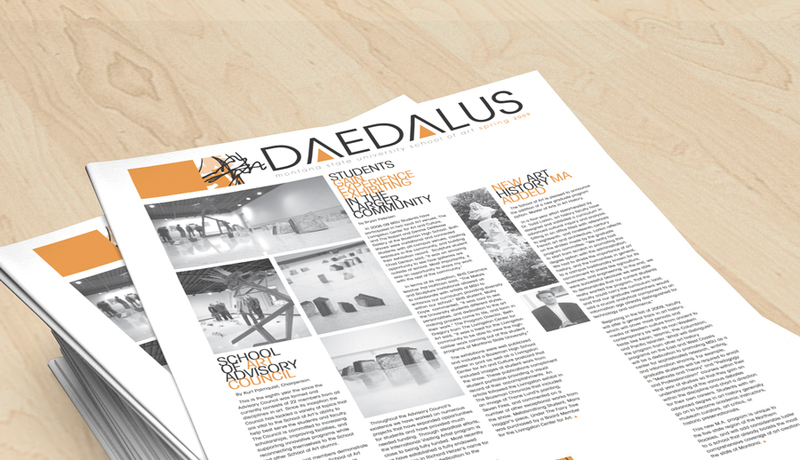 Daedalus is the Montana State University School of Art’s yearly newsletter. It features work and stories about residential and visiting artists, as well as students. 2009’s visiting artist was a sculptor. The logo I designed for the masthead was inspired by his simple, geometric structures. Replacing the crossbars of the ‘A’s with the triangles gives the wordmark a sturdy feel, while the geometric typeface nicely complements the various forms featured throughout the newsletter.